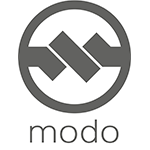 Modo provides a COINÂ® operated Digital Payments Hub that connects new digital experiences to payments systems worldwide. Modoâ€™s patented COINÂ® transaction takes monetary value from just about any source, and can deliver it to just about any destination, without requiring partners to modify their systems. Truly a â€˜shipping container for global payments,’ the Modo COINÂ® simplifies the complex world of payments in the digital era.